The name Wilma is taken from a fictitious feminine persona of William Shakespeare. 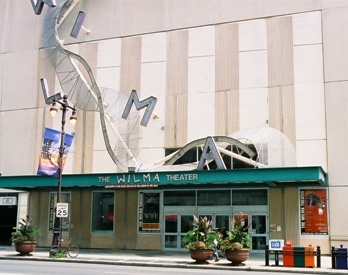 The 1973 creation of the Wilma Project envolved over the years to the 1996 opening of the 296 seat Wilma Theater. The Wilma was created by Blanka and Jiri Zizka, its Czech co-artistic directors who formerly lived and directed theater in Eastern and Western Europe. The Wilma is known for its original avant-garde and experimental theatrical productions and the development of local artists. The theatre is one of Philadelphia’s most popular cultural venues.